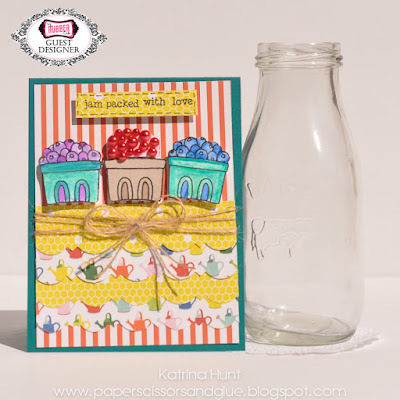 I loved the little "basket of goodies" stamp from the Farm Fresh add on set and wanted to pair it with one of the sentiments, but couldn't quite figure out which one. I decided on the "jam packed with love" sentiment that was in the main stamp set. I started by stamping the baskets on the white cardstock in the kit and then coloring them in with my Faber-Castell watercolor pencils. I did add just a touch of shading on the teal baskets with a Zig Clean Color Real Brush marker. The khaki basket was done a little differently. I stamped on the khaki cardstock that was in the kit and then just shaded with a brown pencil in the opening area. I originally was going to have the saying come out of the brown basket, but it just didn't work. So onto plan B! 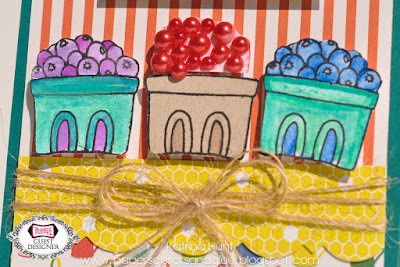 I decided a basket of red berries in the middle would be fun, but none of the pencils or markers I had would work with the reds in the pattern papers. I cut a small piece of white cardstock, colored it lightly with the closest matching red I had and then added the pearls that were included in the kit! Then it was on to the sentiment from the Homegrown stamp set. Honestly, I probably could have masked, but I am so NOT good at that! Then, I remembered I had watched a video (I have forgotten who it was!) recently where they cut the stamp set apart so they would have more versatility with it. Viola! 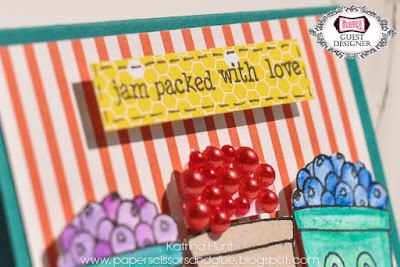 I cut the "with" and "love" away from the "jam packed" and then lined them up in a row! I added some faux stitching with a marker around the strip for more detail. And once again, I did pop everything up with foam adhesive, because that is how I roll! Well, that is all from me today! Be sure to visit the shop to pick up lots of goodies that you can work and play with. Everyone needs a shopping day, right?! 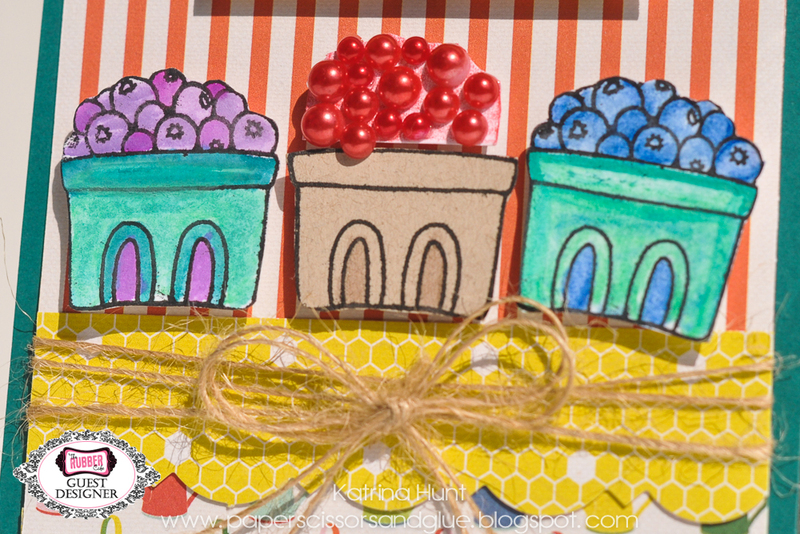 I will be back next Monday with another fun card and hopefully some tips you can use on your projects.